The first unit of my General Astronomy class centered around Astronomy related Pseudoscience. This topic caught my attention, simply because of how ridiculous it seems. The Hollow Earth Theory was created by English scientist, Edmond Halley, in order to explain fluctuations in the Earth's magnetic field. He envisioned our world as the outermost shell, followed by two more shells and an inner core, all of which were illuminated by an inner sun. Later scientist have changed this theory, removing the inner layers and suggesting that highly advanced societies and aliens live on the other side of our "shell." Initially, the Hollow Earth Theory sought to explain natural phenomena that could not be adequately understood at the time. This is seen in Halley's use of the Hollow Earth Theory to explain magnetic field irregularities, as well as provide a basis for the auroras that occur near the poles of the planet. However, it has moved further and further away from concepts that are grounded in science, and taken on the role of science-fiction. The Theory over looks some key concepts of physics, the most important of which is gravity. The core of stars, such as our sun, are incredibly dense and exert an extreme gravitational pull. If even a very small sun was to be placed within the earth, as the theory suggests, it would cause the planet to collapse under the force of gravity. 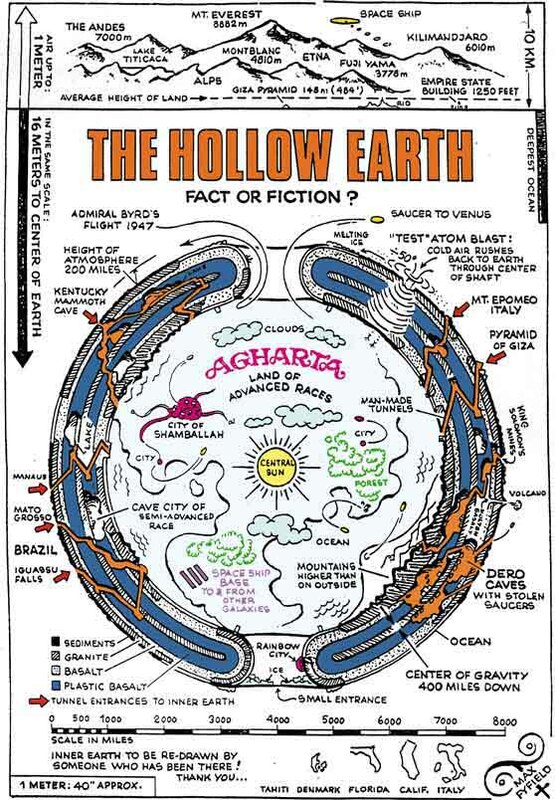 While the idea of a hollow Earth can be a great idea for an intriguing story, it is only that; a story.